The Star-Ledger obituary headline, on January 25, 2005, labeled her a "pioneering journalist." She was also a legendary and highly regarded Newark-area author/historian, and Weequahic High School graduate. And she lived all of her 85 years in Newark, 79 of them at 69 Hansbury Avenue in the Weequahic section. She had also been a high school teacher and a librarian, but the largest part of her working life, 44 years of it, was as a general assignment reporter for the Elizabeth Daily Journal, New Jersey's oldest newspaper, established in 1779. She joined the Elizabeth Daily Journal in 1945, after earning her masters degree in history at Columbia University, a short stint as a teacher at Hillside High School, a summer job at the Trenton Times, and a summer in the Military Information Service in the Pentagon, in 1944. Ms. Turner's start as a journalist at the Elizabeth Journal did not come easy. Union County Sheriff Ralph Froelich, who knew Ms. Turner in her early newspaper years, recalled that "that was an early time for women in the field, but that didn't mean that she didn't jump in with both feet." Barbara Miss, a photo librarian at the Star-Ledger, reinforced Froelich's recollection about Ms. Turner's early days at the Journal with this comment: "It wasn't easy to be a female reporter at crime scenes. She would go to scenes in her high heels and they would not quite laugh at her, but almost. She would put her head down and go for it." In addition to her general reporting assignments in those early years, she had also written a photography column, and a New Jersey Travel column. Some of her journalistic "firsts" during her early years with the Elizabeth Journal included: First woman at the Journal to work nights (so she could cover nighttime municipal meetings), and first women at the Journal to cover Police and Fire Departments. While employed at the Elizabeth Daily Journal, Ms. Turner was secretary of the Newspaper Guild unit at that paper, and also in the statewide organization. She was a member of the National Press Photographers Association, and the New Jersey Press Women. In 1988, she was selected by the New Jersey Press Women as the state's most outstanding newspaper reporter. Over the years, she won honors for her journalistic accomplishments with a number of other press organizations, including the North Jersey Press Association, and the New Jersey Daily Newspaper Women. She had also been active with the New Jersey Collegiate Press Association, and helped run contests for college student journalists. Here work as a journalist over more than four decades established her as a seasoned news reporter, highly regarded by colleagues and by fellow journalists in New Jersey daily newspaper circles. At the Elizabeth Journal, she had been active as secretary of the Newspaper Guild chapter, a high honor in a newspaper with more than 200 employees. Newspaper Guild employees went out of strike in 1979 and Ms. Turner walked the picket lines with them. Ultimately 99 of the strikers were dismissed as the Journal continued publication with non-union workers. It was all over for her after forty four years. Subsequent to leaving the Journal, Ms. Turner was a researcher and curator at the Newark Public Library, and later she was employed by New Jersey Newsphotos as their photo librarian. Newsphotos was the photo department of the Star-Ledger. She retired from Newsphotos in 1996 and devoted the remaining years of her life to the compilation and writing of her history-based books, and giving lectures based on their contents. Her writing partner, Richard T. Koles, said "At lectures, when it came to the questions, she could give you dates and everything else that pertained to that question, off the top of her head." She had had her first success as a book author back in 1977 while still employed as a reporter at the Journal. The book was "Along the Upper Road: the History of Hillside New Jersey." It was comprised of a series of newspaper articles that she had written in the 1950s. Ms. Turner loved history as much as she loved writing, especially local-area history. At Trenton State College, she chose History as her major for her undergraduate degree. She was an active participant in numerous historical societies, including the New Jersey Historical Society, the Union County Historical Society, the Hillside Historical Society, the Westfield Historical Society, and the Newark Landmarks and Preservation Committee. She co-authored four history books with Richard T. Koles, a former Elizabeth Journal colleague. Both she and Koles were leaders in the Union County society. She had been Secretary, and Koles had been the Society's President. She worked with the distinguished late Newark historian, Charles Cummings on her 2003 book "Newark: The Golden Age." Her pamphlet, published in 2003 by the Union County Historical Society, won second prize in the 2003 Awards Program of the League of Historic Societies of New Jersey. One close friend and a former associate said "She not only chronicled history. She also inspired others to do the same." Another friend was quoted as saying "She was a walking encyclopedia of the history of the Greater Newark area and was willing to share her knowledge with anyone interested. In 1999, Ms. Turner was a recipient of one of the three Annual Recognition Awards presented by the Newark Preservation and Landmarks Committee. Her fellow winners that year were: The New Jersey Historical Society, and Michael Immerso, the founder of Newark's First Ward Italian colony and author of "Newark's Little Italy: The Vanished First Ward." 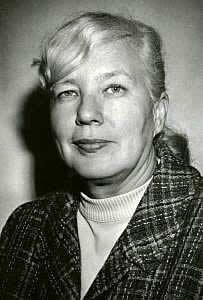 In recognition of Ms. Turner's accomplishments as journalist, author, and historian, in 2002, she was nominated for inclusion in the NEwark Public Library publication "Newark Literary Lights," a publication which includes the names of distinguished writers who have produced books, short stories, plays, monographs, and poetry, as well as periodicals and newspaper columns and articles. As an addition to "Newark's Literary Lights," Ms. Turner's name and biography joined a distinguished roster that already included such world-famous figures as: Washington Irving, Stephen Crane, Thomas Paine, Mary Mapes Dodge, Howard Garis, Dore Schary, John T. Cunningham, Amiri Baraka, Allen Ginsberg, and Philip Roth. In addition to the association and group memberships mentioned earlier, Ms. Turner also held memberships in the Hillside Historical Society, the New Jersey Historical Society, the Newark Landmarks and Preservation Committee, the Newark Museum, and the Friends of the Newark Public Library. She was also very active in the Newark History Society. During her four years at Weequahic High School, Ms. Turner was on the Archery Team and was named "second best girl athlete" by the yearbook staff. She, herself, had worked on the yearbook staff, but never tried out for the school newspaper, because, she once wrote "I didn't have the nerve to try out for it." She later overcame this fear at Trenton State College when she joined the staff of that paper and was the paper's editor in her senior year. Her 1938 graduation from Weequahic High followed by a year that of Sid Dorfman, a Star-Ledger writer now in his 70th year with that paper. Her graduation preceded by 12 years the Weequahic High graduation of Pulitzer Prize winner Philip Roth, who grew up and lived in her neighborhood and writes extensively about it. I'd known Jean-Rae Turner for more than 50 years. I'd first me her back in the 1950s when her Elizabeth Journal 'beat' included Hillside of which I was then a resident. I had done some local volunteer publicity for political and fraternal organizations and she was my Elizabeth Journal news contact. I was an early admirer of her newspaper reportage as it was journalistically accurate and precise, and clearly written. When, many years later she was working on her book on Hillside, I was able to provide here with useful information for it from my files on The Baker & Taylor Company, a Hillside-based leading American book distributor. I had earlier been their sales manager. In recent years, we were fellow members of the Westfield Historical Society, and we both had been frequent speakers on historic topics at their monthly First Wednesday luncheons. Ms. Turner also was my host when I spoke on "American Presidential Oddities" at the Union County Historical Society. We discovered that our educational patterns touched at two institutions. Jean-Rae went to Columbia University Journalism School for a time, early in her newspaper career. My application at that school was rejected, but many years later, I consulted for Columbia University Press. Jean-Rae also took courses at The New School for Social Research (now New School University) in New York. I completed the New School Public Relations Program. After funeral services on Friday, January 27, 2006, at the Third Westminster Presbyterian Church in Elizabeth, she was interred in the Evergreen Cemetery in Hillside. During the latter years of her life, Ms. Turner had conducted many walking tours in this cemetery and was able to talk about the lives of many of the notable people buried there. It had been through her efforts that the Evergreen Cemetery was added to the State and National registries of historic places. Following are a few comments from friends of Ms. Turner with whom I was in contact during the preparation of the "Memory." "She was a very special lady, a quiet Newark icon, and a Weequahic legend." "She gave many wonderful talks about Newark. Among those I particularly recall were "The Making of Newark", "Newark's Golden Age", and "The Jews of Newark." "She was a wonderful asset to the City - past and present." "Her passing was a big loss for the community."